FRESH INVENTORY! 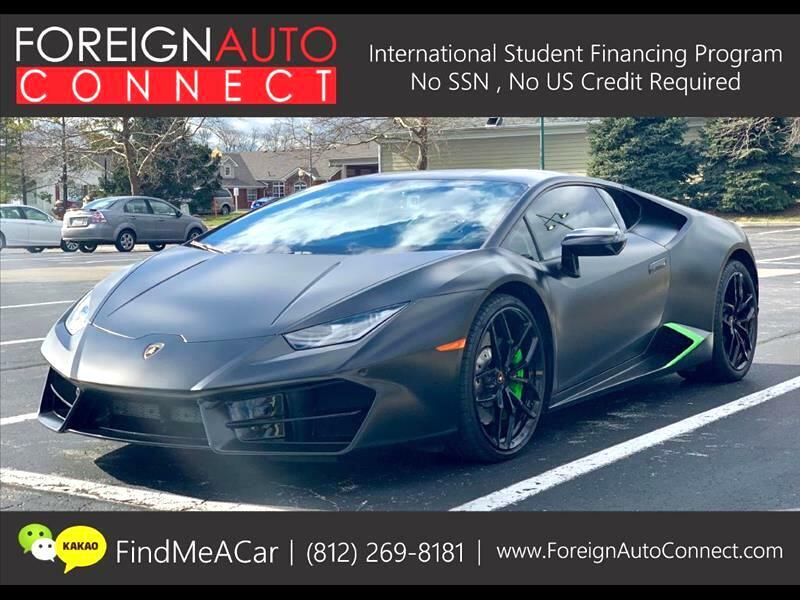 2 OWNER-CLEAN CARFAX, NO ACCIDENTS, NICELY EQUIPPED 2016 LAMBORGHINI HURACAN LP580-2 5.2L 10 CYLINDER V90-LONG STROKE FOR SALE! $256,895 MSRP, THE CAR HAS BEEN PROFESSIONALLY WRAPPED. ORIGINAL COLOR IS VERDE MANTIS GREEN, INTERIOR NERO ADE/VERDE FAUNS, THE CAR COMES EQUIPPED WITH DRIVER ASSISTANCE PACKAGE (FRONT & REAR PARKING SENSORS), HEATED SEATS, BRANDING PACKAGE, SPORT SEATS, REGENERATIVE BRAKING, DYNAMIC MODE, LAMBORGHINI DYNAMIC STEERING, LIFTING SYSTEM (STD. PASSIVE SUSPENSION), RIMS MIMAS FORGED 20'' SILVER, PIRELLI PZERO TIRES 245/30/20 FRONT / 305/30/20 REAR, GREEN CALIPERS FRONT & REAR, NAVIGATION, & MORE!!! INCLUDES 2 KEYS, OWNERS MANUAL,PLEASE CALL IN ADVNACE BEFORE MAKING A TRIP OUT! RUNS & DRIVES GREAT WITH NO MECHANICAL ISSUES! GARAGE KEPT! NO CURB RASH OR BODY DAMAGE! Message: Thought you might be interested in this 2016 Lamborghini Huracan.